The Ace Attorney Series Has Been Cancelled. All three of the newest Phoenix Wright games will not be released outside of Japan. Capcom has made a lot of announcements lately about games they aren’t going to make. The biggest news story was the cancellation of Mega Man Universe, which GameCola will write more about later. But there are three other games—all from the Phoenix Wright series—whose production has come to a halt, at least as far as the U.S. is concerned. It was recently revealed that Capcom will not bring Miles Edgeworth: Ace Attorney Investigations 2 to the United States. That’s right, Edgeworth’s new set of adventures are going to stay in Japan. Presumably, this is because the first Miles Edgeworth game didn’t sell too well, and because everyone has moved on to the 3DS, so there’s no point in making DS games anymore. The announcement did have a semi-hopeful note to it, in that Capcom deliberately said they won’t be translating the game “at this time,” instead of saying they won’t be translating the game, period. Perhaps their plans will change in the near future, and the game will shortly be announced. And perhaps—as some people have suggested—they’ll release it as a WiiWare or DSiWare game, just to cut down on production costs. 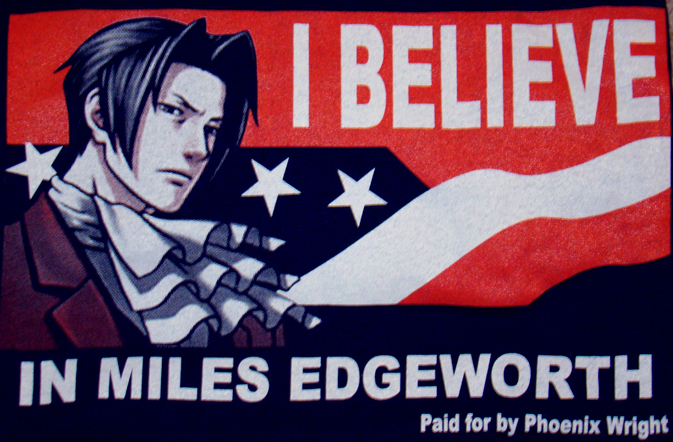 So there’s no reason for Edgeworth fans to lose hope, quite yet. All right, so Edgeworth’s new game isn’t leaving Japan. What about the game that everyone is really looking forward to, Phoenix Wright VS Professor Layton? Also known as, The First Game to Star Phoenix Wright Since Phoenix Wright 3? It’s been four years since Phoenix’s last adventure as a protagonist, and we’re all looking forward to his grand re-entry into the world of videogames. Actually, scratch that. It looks like this game, too, will only be released in Japan. The reason? The Professor Layton trilogy has sold two to three times as many games as the Phoenix Wright trilogy. Clearly, Layton is popular with everyone, but Phoenix? Not so much. From a business perspective, it’s a much better investment to only release the game where both Phoenix and Layton are popular. Would now be a bad time to remind everyone that the 3DS is region-locked, so there’s no way you can play Japan-only games on a non-Japan 3DS? I’m thinking this is the wrong time to mention that particular fact. In any case, maybe it’s a bit too early to talk about this game, seeing as it still doesn’t have a release date in Japan, either. Turnabout Puzzle Substitution Turnabout, aka the Phoenix Wright block-based puzzle game with the horrible name, has been announced for the iPhone. Just kidding! There are no plans to release this game outside of Japan, either. In conclusion, the Phoenix Wright series will now cease to exist outside of Japan. That is all. This would’ve been a GREAT April Fools joke for GameCola if it wasn’t actually true. I love the Layton and Phoenix Wright games. I was so looking forward to this game with both of them in one game. I will be very disappointed if this will not come to North America. Professor Layton is popular. Produce a game with “Professor Layton” in the title, people buy it. If the game co-stars Phoenix Wright, people become aware of Phoenix Wright. 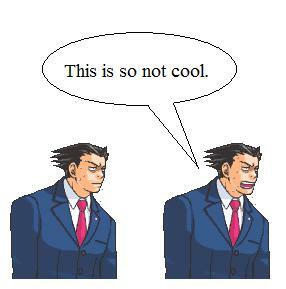 People buy Phoenix Wright. Phoenix Wright becomes popular. Capcom makes money. Or would you care to explain to Marth and Roy how the appearance of Fire Emblem in the US has nothing to do with their appearance in a popular Nintendo game for the GameCube? This argument is stupid, Capcom. Layton and Ace Attorney are freaking gold dust in the UK, and games of their ilk go for stupid wonga. Also, the 3DS needs decent games, so not releasing Professor Layton vs. Phoenix Wright is a dumb thing to even consider. NOOOOOOOOOOOOOOOOOOOOOOO! WOULD IT KILL THEM TO WORK ON THE ENGLISH AND JAPANESE VERSIONS AT THE SAME DAMN TIME!!! If gamers today weren’t so hung up on graphics the Ace Attorney series would sell more. I actually cried when I read this. Why can’t they translate it? WHY??!! Well damn, I’m pretty bummed that the Layton/Phoenix crossover game isn’t coming stateside. It seems like an interesting combo. Being a 15-year-long Earthbound fan I know the pain of losing a videogame franchise that is near to your heart and justifying its return with futile appeals to logic and common decency upon deaf ears. If anybody needs grief counseling my door is always open. Group hug, everyone. Happy thoughts. Christian Porter, your words are as empty as your soul! Mankind ill needs a counselor such as you! What is a man? A miserable little pile of handheld lawyer sims. But enough talk – have at you! As a player of all the Ace Attorney Series, I will admit the Ace Attorney: Apollo Justice, did the Nintendo DS a great deal of justice. It is true that the Miles Edgeworth series was not a great seller, but if Capcom considered furthering it’s development in the Ace Attorney series, in my opinion, I think it be extremely profitable if they continued to use graphics like the Apollo Justice. And here’s another key point that you need to keep in mind here: The Nintendo 3DS, still has a large quantity of flaws that still needs to be fixed. So it should be fine for a good few months if they continued with sending the game overseas. Furthermore, due to the earthquake in Japan, there is also a significant delay in a large quantity of releases. Therefore this should either be a win or lose factor in their favor. Check the date bro. Many things have changed since then.